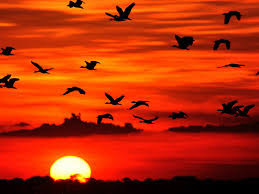 It is home to the most variety of birds in the world and has all the climates, from very hot temperatures to freezing, depending on the height of the region, if you go up temperature drops, or, if you go down, temperature gets hotter. All year round. There are no seasons, but dry or rainy months. In the next lines you will know more about the 5 continental regions of Colombia and the Caribbean and Pacific Bonus of this splendorous country. This is the region that is located in the hills, valleys and elevated plains of the triad that the Andes are converted when they enter Colombia. 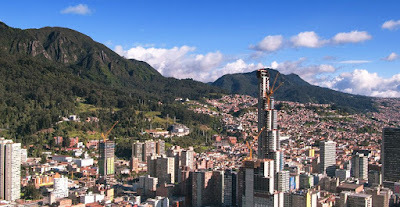 Here are the main cities, like Bogotá, the capital of Colombia, Medellín, Cali, Pasto, Pereira, Manizales, Armenia, Bucaramanga, Neiva, Ibagué, Cúcuta, Bucaramanga, Tunja and many other cities and towns. This is where the main part of the population lives and also houses the main economy motors of Colombia. It is characterized for its climate diversity due to the thermic floors that were explained before. This is where the best coffee in the world grows, and is home for the biggest variety of orchids as well as the most moors in the entire planet earth. Many rivers are born in the region including the Magdalena and the Cauca, 2 of the biggest of the Americas. For tourism is spectacular as you can be in very modern cities and in just minutes be in astonishing landscapes and beautiful rural áreas. This is the part of Colombia that limits to the north and west with the Caribbean sea, to the east with the Andes mountains and to the south with Panamá and the Darien Jungle. 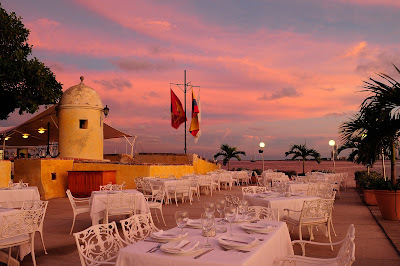 The most important cities are: Barranquilla, Cartagena, Santa Marta, Ríohacha, Montería, Sincelejo and Valledupar. “La costa” as is known, is where the highest coastal mountain range of the whole planet is located, La Sierra Nevada de Santa Marta, it is an isolated system of the Andean mountains. Its summit is the Pico Bolívar, at 5775 meters over sea level, that´s 18.947 feet. This region has very fertile lands and beautiful landscapes. The beaches are very nice and the sea has a very comfortable temperature all year round. Here is the so called, golden gate of Colombia, Barranquilla, which is a very important urban hub. 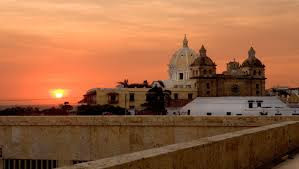 There is also Cartagena de Indias, the touristic jewel of the country, which historic city and fortifications have been declared a world heritage site by Unesco. You can find Santa Marta with the nearby Tayrona natural park, one of the National parks of Colombia. There is also the Guajira, where the desert and the sea touch each other. You can go to Valledupar with astonishing views of nature and the region of the “sabanas de Bolívar where Montería and Sincelejo are located. The people that lives in the Caribbean region are very happy and spontaneous. You can have a glimpse of how they are at novels like One Hundred Years of Solitude, the masterpiece of the Nobel prize literature recipient, Gabriel García Márquez, born and raised in these lands, where his utopic town of Macondo, lives forever. This region limits to the north with Panamá and the Darien Jungle, west with the coast of the Pacific sea and east with the Andes mountains. The main characteristic it’s the rainforest jungle that is home to a huge amount of biodiversity, from unique frogs, to colorful birds, reptiles, mammals, trees and rivers full of fishes and also whales that come here to breed every year in the coast of the sea. The population here is mainly of African descent and also indigenous. These inhabitants maintain ancestral cultural traditions, that are another asset for this wonderful land. The principal port of Colombia is Buenaventura and there are exotic touristic places all along this wide region. It is located over an inmense plateau east of the Andes. It goes all the way to the frontier with Venezuela that is marked by the riverway of the Orinoco. The main city is Villavicencio. This region produces food in huge amounts. The fertile lands and the surplus of abundant water make of the llanos the principal supplier of food and meat for Colombia and for export. It is a producer of oil and natural gas and has reserves of other mineral products like coltan. The landscape of the llanos is like a sea, but of green color. The amount of biodiversity is immense, all kinds of animals and plants make home here, and if you are a nature lover this is a another great place to be in. One of the main attractions is Caño Cristales, the river of the 7 colors; this natural phenomenon is produced by plants that make the water change the colors. It has recently been opened for tourism, due to the end of the armed conflict in Colombia. This is the region that has a wide frontier to the north with the Orinoquía, to the west with the Andes, to the east with Venezuela and Brazil and to the south with Perú and Ecuador. It is a world biosphere reserve. Besides the Amazon river has also many rivers that cross it all along a tropical humid jungle. 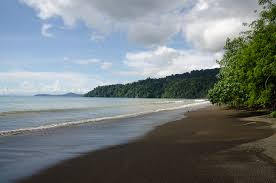 It is home of indigenous tribes who share this magnificent rainforest with many animals and plants. 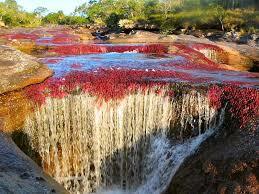 The main city of this vast and virgin region is the port over the Amazon river, Leticia. Colombia has islands over the Caribbean sea and the Pacific Ocean. In the Caribbean the San Andrés and Providencia Islands and the keys of Roncador and Quitasueño are located over the coral national park Seaflower, which is also a world biosphere reserve. 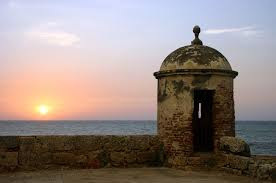 Also there are islands in front of Cartagena, the islas del Rosario and the islands located in the Golfo de Morrosquillo which are named Islas de San Bernardo. On the Pacific Ocean there is Malpelo and Gorgona which are also national park. 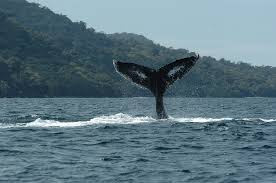 In this reserve there are whales and many kinds of fishes and sea life. This is the beautiful Colombia, a country you have to know because of many reasons, including the ones that I told you in this blog. Have a great time, and come to Colombia. Check my authors profile for the tours. Remember, traveling makes you a better person.